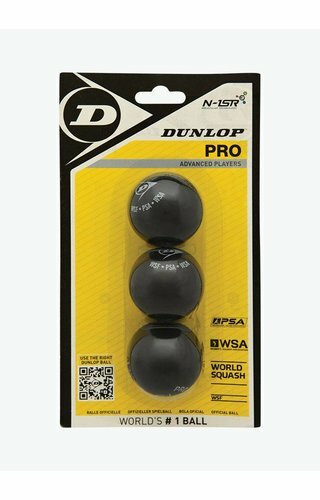 A good quality squash ball is an essential part of your equipment. Without a good ball there is no game. 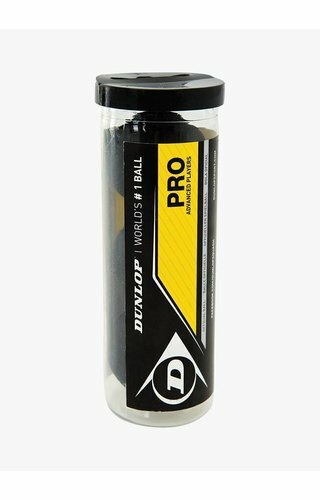 And with a good ball we do not only mean that the ball is durable but also that the type of ball you use matches your level. That is why we explain below which type of squash balls are available and which ball is the most suitable for you. 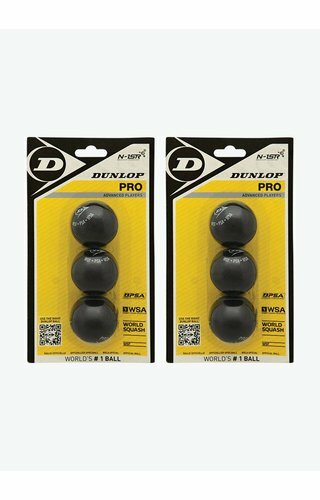 You will also find a guideline that indicates when it is time to replace a used squash ball. 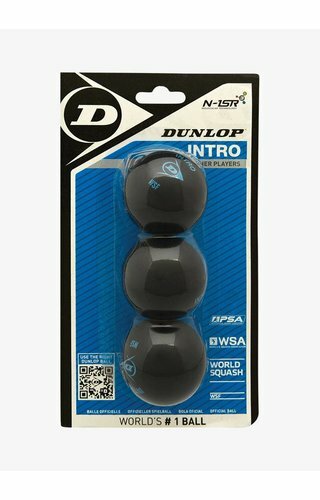 How do I choose the right squash ball? 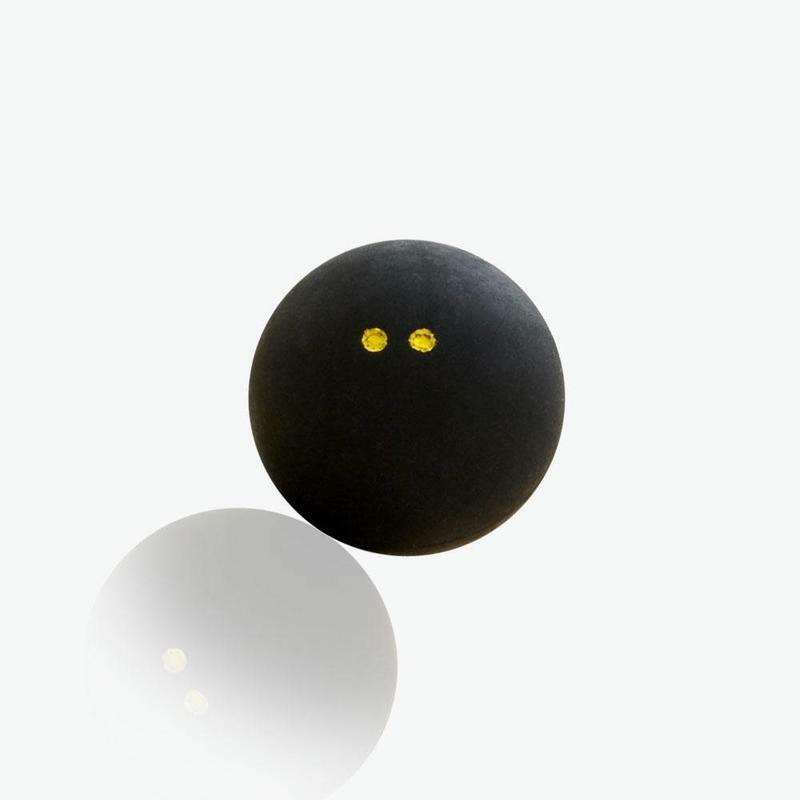 Squash balls are divided into four types which you can recognize by the colour and the number of dots on the ball. It is very important that you choose the ball that matches your playing level, so that the ball stays warm and bouncy during the game. 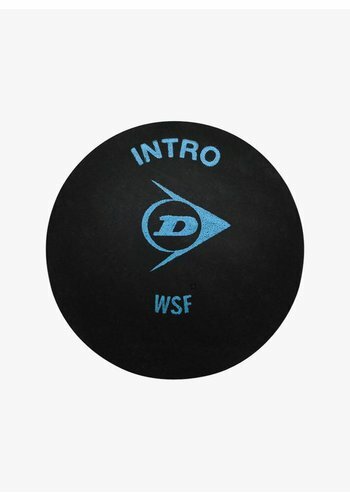 For beginners we recommend to start with an Intro ball and after a while proceed to the Progress ball. The big advantage of the Intro ball is that it bounces well and that you do not have to warm the ball up before starting the game. Keep in mind that the temperature on the court also affects the ball. In the winter months, it is advisable to choose a ball that bounces more, especially if you notice that the ball dies sooner than normally and the rallies get short. 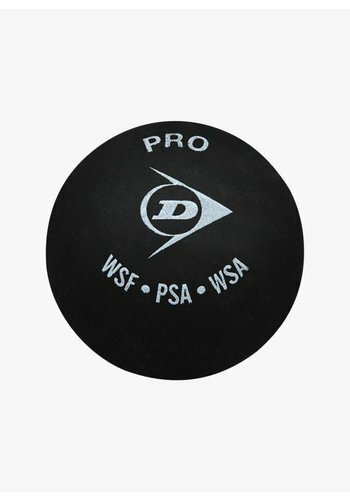 Pro (double yellow dot): the perfect squash ball for an advanced squash player. This ball has a very low bounce. Competition (single yellow dot): a squash ball with a slightly higher bounce for an advanced squash player. This ball has the same dimensions as the official Pro match ball, but 10% more bounce. The Competition Squash ball is ideal for training or in cold weather conditions. Progress Progress (red dot): the ideal squash ball for recreational players. This ball is 6% bigger than the official Pro match ball and has 20% more bounce. 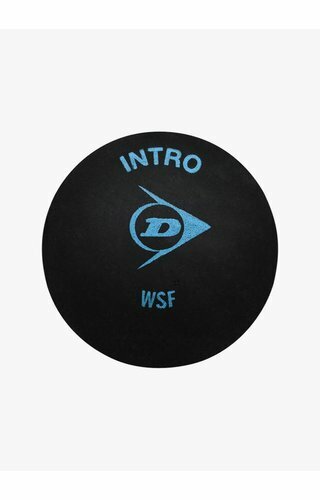 Intro (blue dot): the perfect squash ball for beginners. The Intro ball is 12% bigger than the official Pro match ball and has 40% more bounce. Why does the squash ball first have to be warmed up? Before you can start the match or training, the squash ball needs to be warmed up. You do this by hitting the ball a few minutes against the wall. The moment you hit the ball, the kinetic energy is partially converted into heat, and as a result the temperature of the air inside the ball rises and the air pressure increases. This makes the squash ball bounce more. When the ball is warmed up, you are ready to start the game. The Intro ball for beginners does not need to be warmed up and the Progress can be warmed up very quickly. 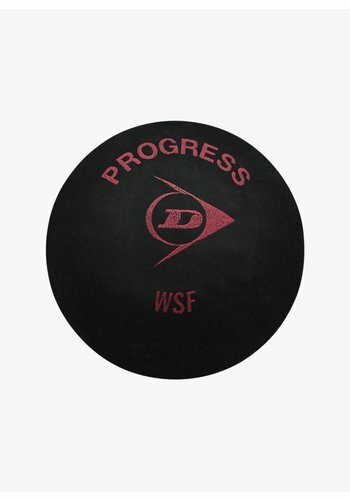 When is it time to replace my squash ball? When you have been using the same ball for a while, you notice at a certain point that the ball starts to bounce less and behave differently. In order to enjoy the game, it is important that the ball has a good resilience and that it bounces optimally. That is why it is necessary to replace the ball regularly. Squash balls consist of two rubber halves, which are glued together. Over time, air gradually escapes from the ball, causing the pressure inside to decrease and the ball to lose bounce. When you notice this happening, it is time to switch to a new ball. How often you have to replace a squash ball depends on your playing style and how often you play. Also, players who hit the ball very hard need to replace the ball more frequently. No matter what your level is, it is always a good idea to have a few new balls in your squash bag. 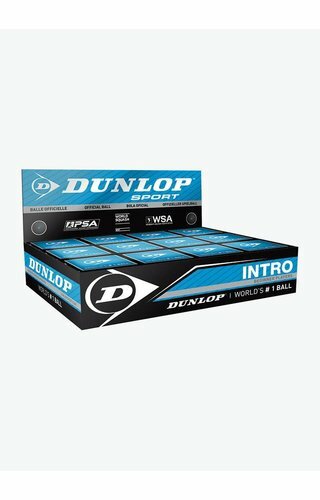 At Squashpoint we have chosen to offer Dunlop squash balls exclusively. 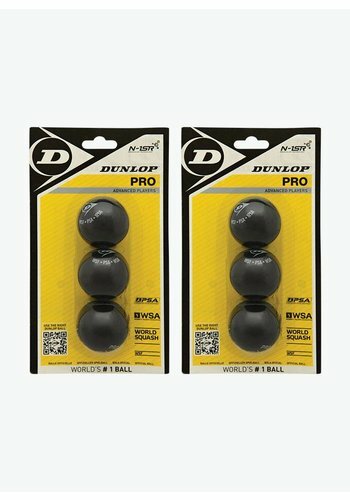 The reason is that the Dunlop squash balls stand for top quality and have the absolute market leadership. 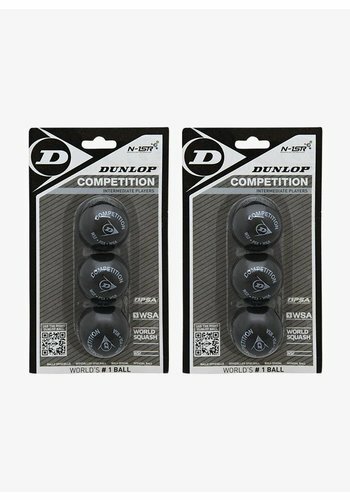 Dunlop has been producing squash balls for years with unrivalled performance, durability and consistency. 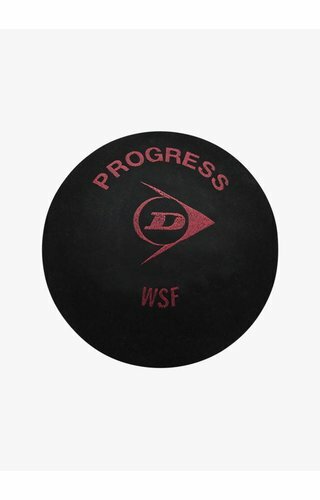 The various balls and type indications (dots) have been developed by Dunlop in collaboration with the World Squash Federation. The unique material composition of the Dunlop squash balls ensures the perfect bounce and the perfect ball feel. 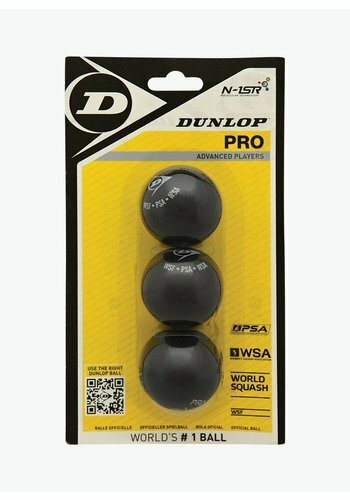 It is not for nothing that only Dunlop squash balls are used in national and international tournaments and matches of the PSA. 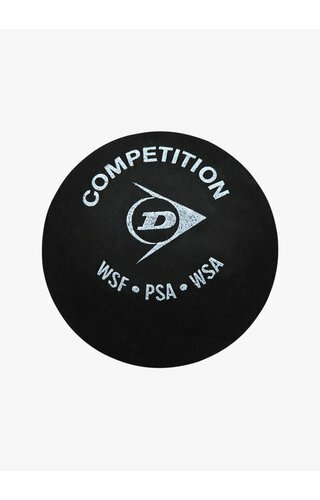 There is no other ball that can compete with the Dunlop squash balls. 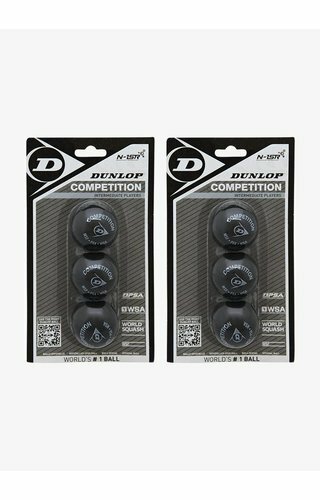 And because at Squashpoint we believe that you deserve the best quality, we exclusive offer Dunlop squash balls to our clients. The most used squash ball worldwide. Ball with a 10% longer hang time. Ball that is ideal for recreational players. Ball that is suitable for beginners and juniors. 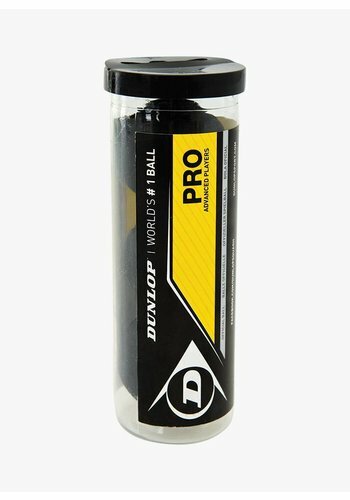 Handy tube with 3 Pro balls. 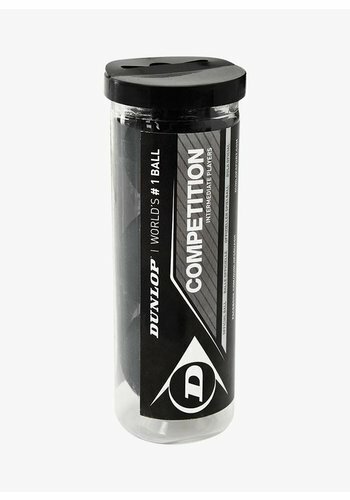 Handy tube with 3 Competition balls. Save and buy 2 Pro tubes. 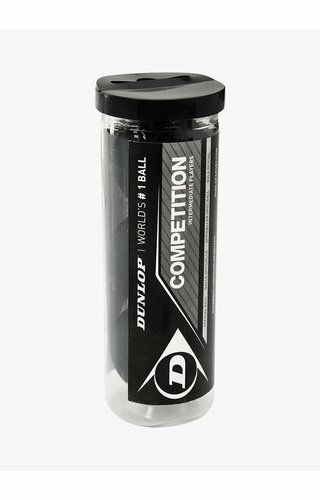 Save and buy 2 Competition tubes. 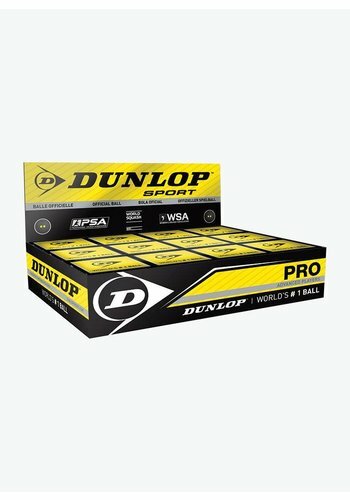 Box of 12 Pro squash balls. Box of 12 Competition squash balls. 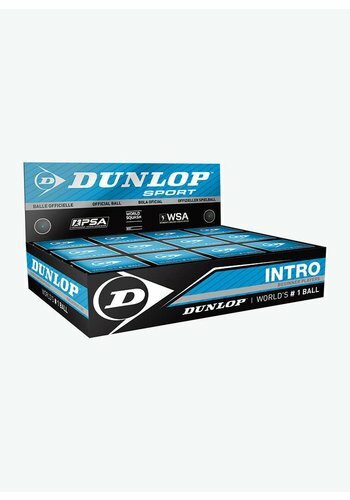 Box of 12 Intro squash balls.